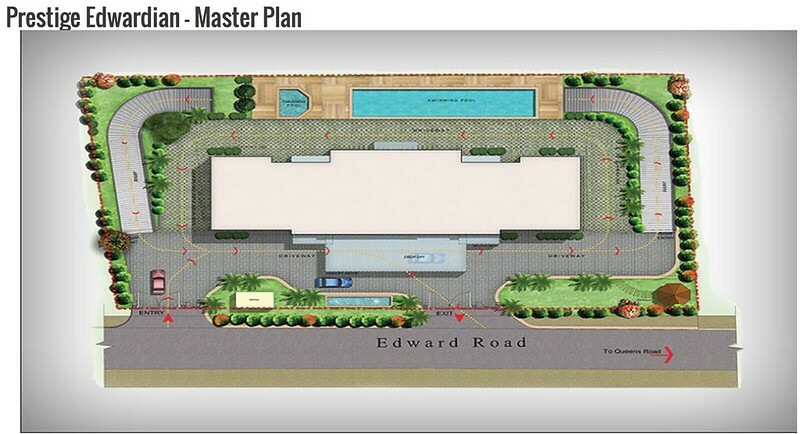 Getting a house in the heart of the city like Bangalore is a dream that many beholds, but very few live it.One Such property is Prestige Edwardian which one of the most sought after upcoming luxury residences in Bangalore.The fairy tale of prestige Edwardian is scripted by Prestige group which needs no introduction.Nevertheless in a nutshell,Prestige Estate Projects Ltd is the only real estate developer in Bangalore to have won the prestigious FIABCI awards for its software and residential facilities.it was founded by razak sattar and is based in Bangalore,Karnataka. 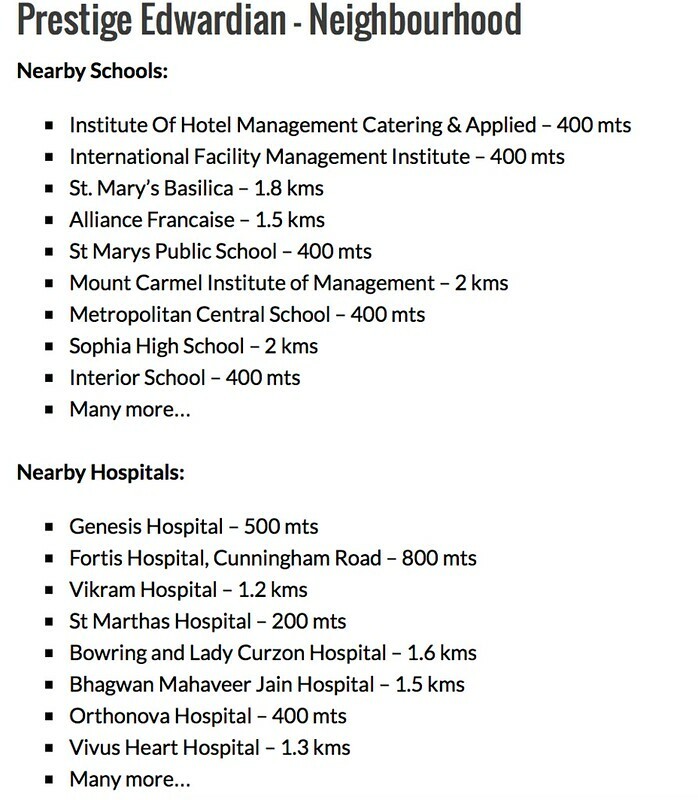 Prestige Estate projects ltd has aggressive growth plan across the residential,commercial,Retail and hospitality sectors in Bangalore,Goa, Hyderabad,Mangalore,Cochin and Chennai. 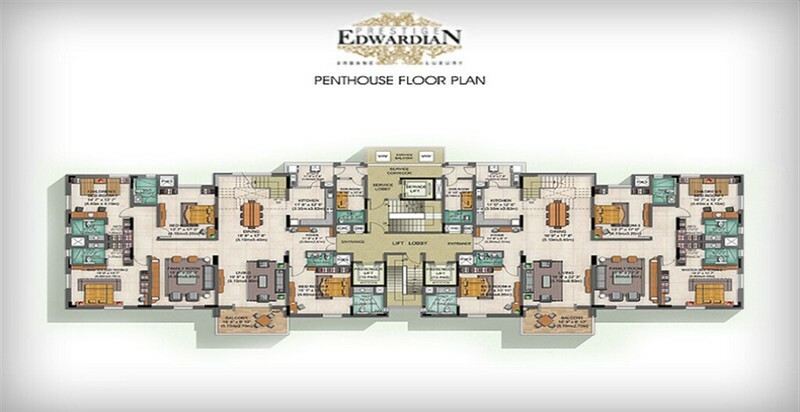 Prestige Edwardian, Located in the central business district of Bangalore, Edward Road, parallel to Cunningham Road is a sophisticated ultra luxury residential apartment with 24 Luxury apartments and 2 Pent Houses in 14 storeys.The project total area size is 40000 Sqft. 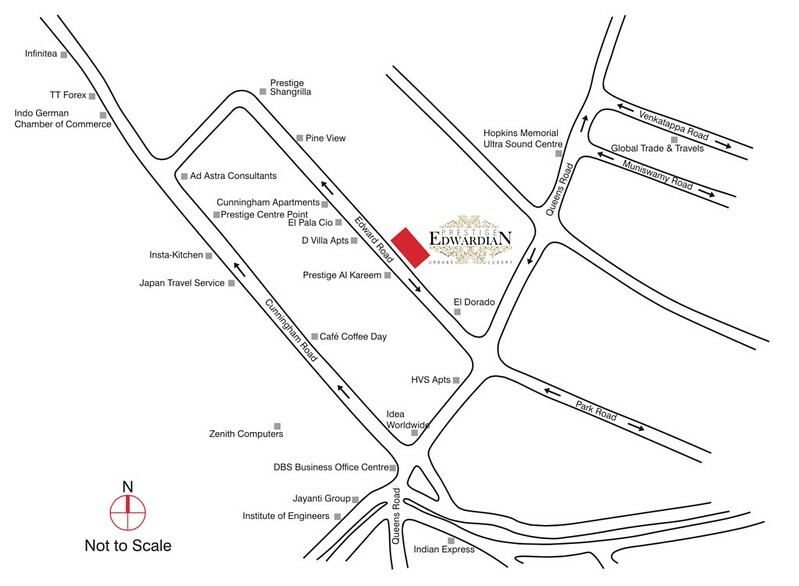 It is centrally located with 2 kms away from MG road and 5 kms to Central Railway station and 32.9 kms to the international airport and the nearest metro station is 2.2 kms(MG road). I was invited to check out how Prestige Edwardian was panning out to be!My first impression as i entered the edward street and the apartments is named after it. i could see a magnificent colonial style high rise building and it had exquisite sense of style and charm that set the property apart. Live life king size truly goes well with Prestige edwardian as i entered the model house.Every nook and corner had the contemporary look with the state of the art modern amenities and decor. 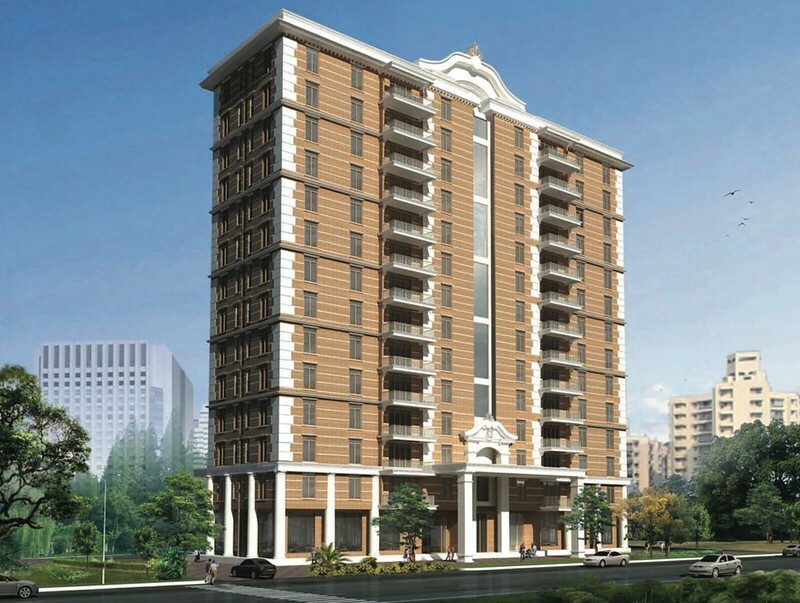 and combined with the old world charm.The flat has 4 bedrooms, 5 bathrooms, 2 living areas, a dining area, a fully equipped kitchen attached with a utility area with bathroom as well for the domestic help.The flat is spread across 4750 sq.ft and goes on till 5855 sq.ft.A abode fit for the king and the property price starts from 10cr. 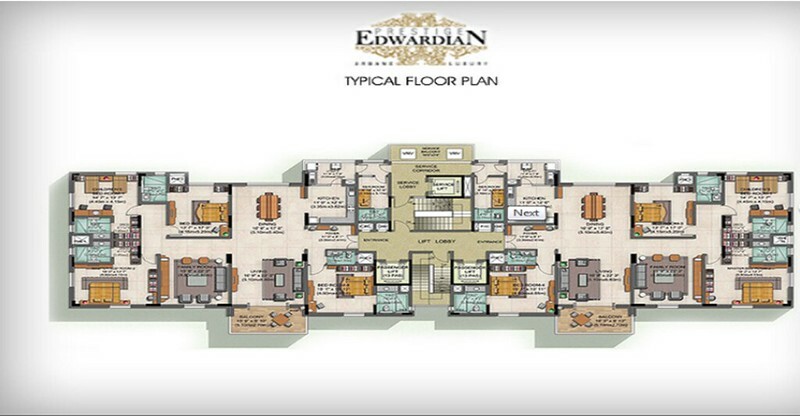 Prestige Edwardian has amenities like clubhouse,gymnasium, health club,Multipurpose hall,squash court,Swimming pool.